Chatsworth has an active programme of loans to external exhibitions at institutions around the world. The information below shows gives details about when and where to see specific items that are on loan. How to make a loan request for an object. 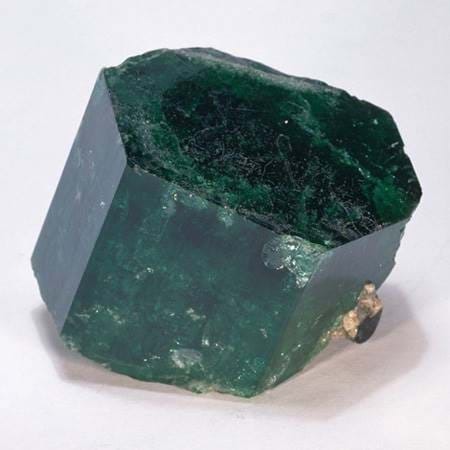 The Devonshire Emerald (sometimes called Dom Pedro's emerald) has been on loan since November 2007 to the Natural History Museum in London and is displayed in The Vault gallery. The Holy Family is on loan to the Museo de Bellas Artes, Seville, Spain as part of the exhibition Murillo IV Century from 29 November 2018 to 17 March 2019. A view of Florence from the North-East is on loan to Kunsthal KAdE, Amersfoort as part of the exhibition Maestro van Wittel - Dutch master of the Italian cityscape from 26 January to 5 May 2019. Virgin and Child enthroned with Sts John The Baptist and Louis of Toulouse, a donor and his wife is on loan to the Städel Museum, Frankfurt as part of the exhibition Titian and the Renaissance in Venice from 13 February to 26 May 2019.